Moyer SL, CR Hardy. 2016. Botany of the Luceille Hagarman Reading Sculpture Garden. Parksia 5: 1-10. Scholarships and other financial opportunities for students can be found here. Sep: Craig Whitman ['20] is this year's recipient of the Robertson Library Garden Botany Internship. May: Dr. Hardy gave a demonstration "Fun with Plant Pigments" to Eshelman Elementary's first grade students on Thursday, May 24. May: Members of the Joint Field Meeting of the Botanical Society of America, Torrey Botanical Society and Philadelphia Botanical Club toured the herbarium on Thursday, May 24. At the tour, participants were shown sample specimens and were given a demonstration on pressing plants and the mounting of herbarium specimens to herbarium sheets. A Millersville Biology alumnus on the tour was shown herbarium specimens of his that were made 51 years prior while a botany student under Professor Hal Weirich. Apr: Botany students Kevin Faccenda ('20) & Liam McTigue ('19) were the recipients of multiple grants in support of their research and studies at MU. Congratulations to them both. Mar: Botany student Ian Fitzhugh ('19) gave a nice talk on the carnivorous flora of Pennsylvania to the Muhlenberg Botanical Society at the North Museum of Natural History. Well done, Ian! 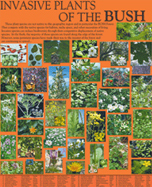 Mar: The Herbarium has surpassed the entry of its 15,000th specimen into its online database. This and all specimens entered can be explored interactively through The James C. Parks Herbarium Atlas. Mar: Thursday, March 8: Due to the snow yesterday, Dr. Ken Klemow's medical botany lecture will be presented today (Thursday) instead at a new place and time: 3-3:50 pm in Roddy 261. All are welcome to attend. Mar: Dr. Ken Klemow (Wilkes University) will be presenting the Harold Weirich Memorial Lecture on Wednesday, Mar 7. His talk, "The Use of Plants in Medicine: Organizing Principles and Examples," will be from 4 - 4:50 pm in Caputo 210. Dec: Stop by the bulletin board outside of the Herbarium to read a timely article from the LNP (Dec 6) about the versatile jackfruit. Plant Systematics (BIOL 325) students learned about breadfruit, jackfruit and the genus Artocarpus in lecture this past week. What is a Herbarium Associate? Interests: PA Floristics, Plant ecology, Invasive species management. Nazli W. Hardy, Ph.D., M.B.A. Interests: Biodiversity informatics; Network security; Internet education. Interests: Grape systematics; Viticultural science. Interests: forensic use of algae in PMSI estimation; aquatic ecology; evolution. archived voucher specimens to document the species identity of plants used for various other biological investigations. Since 2004, the herbarium has been named in honor of its late curator, James C. Parks. The Herbarium seal consists of illustrations of Plowmanianthus grandifolius and P. dressleri (Neotropical spiderworts) bound by three concentric rings containing the phrases "The James Clair Parks Herbarium" and "Millersville University 1855," separated from eachother by Quercus alba (white oak) leaves. Where nature enthusiasts can find and report occurrences of plants and animals. A guide to the selection, identification, history, and biology of America's 10 most popular Christmas trees. A guide to 21 of Millersville University's Trees of Distinction. An informative mashup of authoritative sources of information about the woody vines of PA.
A Website with information & photos of some non-native plants in and around Pennsylvanian woodlands. 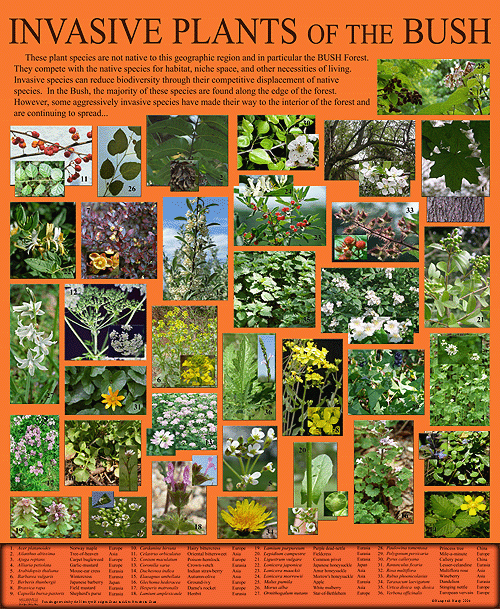 A 22x28" poster-version of an illustrated glossary of botanical terminology. Notes: 1. 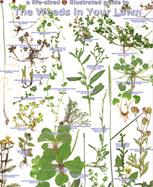 Herbarium authors are in bold-face font. 2. An asterisk (*) indicates student author. Hardy CR, NW Hardy. 2018. Adapting traditional field activities in natural history education to an emerging paradigm in biodiversity informatics. American Biology Teacher 80: 501-519. Hardy NW, CR Hardy. 2016. NatureAtlas.org: exposing undergraduate computer science students to opportunities and applications in biodiversity informatics. 2016 World Congress on Engineering 1: 209-211 (ISBN: 978-988-19253-0-5). O'Meara BC, SD Smith, WS Armbruster, LD Harder, CR Hardy, LC Hileman, L Hufford, A Litt, S Magallón, SA Smith, PF Stevens, CB Fenster, PK Diggle. 2016. Non-equilibrium dynamics and floral trait interactions shape extant angiosperm diversity. Proceedings of the Royal Society B 283: 20152304 (DOI: 10.1098/rspb.2015.2304). Hardy CR, CD Steinhart. 2013. Forensic botany in the resolution of an agricultural vandalism case. Journal of Forensic Identification 63: 144-154. Hardy CR. 2012. A primer on forensic microscopy. Pp 107-118 (Chapter 6) in DW Hall, JH Byrd (eds) Forensic Botany: A Practical Guide. John Wiley & Sons, Ltd. London. Hardy CR, DS Martin*[MU '11]. 2012. Plants and wildlife forensics. Pp 145-160 (Chapter 9) in JE Huffman, JR Wallace (eds) Wildlife Forensics: Methods and Applications. Wiley-Blackwell Publishing, London. Hardy CR, J Ryndock*[MU '09]. 2012. Floral morphology and organogenesis in Tinantia pringlei, along with a review of floral developmental variation in the spiderwort family, Commelinaceae. Botanical Review 78 (4): 416-427. Hardy CR, JR Wallace. 2012. Algae in forensic investigations. Pp 145-173 (Chapter 9) in DW Hall, JH Byrd (eds) Forensic Botany: A Practical Guide. John Wiley & Sons, Ltd. London. Price J, CR Hardy, KS Tefend, DW Szymanski. 2012. Solute geochemical mass-balances and mineral weathering rates in small watersheds II: Biomass nutrient uptake, more equations in more unknowns, and land use/land cover effects. Applied Geochemistry 27: 1247-1265. Warren BH, FT Bakker, DU Bellstedt, B Bytebier, R Claßen-Bockhoff, LL Dreyer, D Edwards, F Forest, C Galley, CR Hardy, HP Linder, AM Muasya, K Mummenhoff, KC Oberlander, M Quint, JE Richardson, V Savolainen, BD Schrire, T van der Niet, GA Verboom, C Yesson, JA Hawkins. 2011. Consistent phenological shifts in the making of a biodiversity hotspot: the Cape flora. BMC Evolutionary Biology 11: 39. Linder HP, CR Hardy. 2010. A generic classification of the Restioneae (Restionaceae), southern Africa. Bothalia 40: 1-35. Hardy CR, LL Sloat*[MU '06], RB Faden. 2009. Floral organogenesis and the developmental basis for pollinator deception in the Asiatic dayflower Commelina communis (Commelinaceae). American Journal of Botany 96: 1236-1244. Hardy CR, NW Hardy. 2008. Simple biodiversity mashups for non-tech-savvy biologists: a demonstration using the liana flora of Pennsylvania, USA. Journal of the Torrey Botanical Society 135: 585-594. Hardy CR, P Moline, HP Linder. 2008. A Phylogeny for the African Restionaceae, and New Perspectives on Morphology's Role in Generating Complete Species Phylogenies for Large Clades. International Journal of Plant Sciences 169: 377-390. Hardy CR, HP Linder. 2007. Phylogeny and historical ecology of Rhodocoma (Restionaceae) from the Cape Floristic Region. Aliso 23: 213-226. Parks JC (adapted). 2007. Lycopodiaceae: clubmass family. Pp 63-68 in Rhoads AF, TA Block (eds) The plants of Pennsylvania: an illustrated manual, 2nd ed. University of Pennsylvania Press. Parks JC, JD Montgomery (adapted). 2007. Polypodiaceae s.l. (Fern Family). Pp 78-105 in Rhoads AF, TA Block (eds) The plants of Pennsylvania: an illustrated manual, 2nd ed. University of Pennsylvania Press. Hardy CR. 2006. Reconstructing ancestral ecologies: challenges and possible solutions. Diversity & Distributions 12: 7-19. Davis JI, G Petersen, O Seberg, DW Stevenson, CR Hardy, MP Simmons, FA Michelangeli, DH Goldman, LM Campbell, CD Specht, JI Cohen. 2006. Are mitochondrial genes useful for the analysis of monocot relationships? Taxon 55: 857-870. Petersen G, O Seberg, JI Davis, D Goldman, DW Stevenson, LM Campbell, FA Michelangeli, CD Specht, MW Chase, MF Fay, JC Pires, JV Freudenstein, CR Hardy, MP Simmons. 2006. Mitochondrial data in monocot phylogenetics. Aliso 22: 52-62. Hardy CR, HP Linder. 2005. Intraspecific variability and timing in ancestral ecology reconstruction: A test case from the Cape flora. Systematic Biology 54 (2): 299-316. Linder HP, CR Hardy. 2005. Speciation in the Cape flora: A macroevolutionary and macroecological perspective. Pp. 46-73 in F. T.
Linder HP, CR Hardy, F Rutschmann. 2005. Taxon sampling effects in molecular clock dating: An example from the African Restionaceae. Molecular Phylogenetics & Evolution 35: 569-582. Hardy CR, RB Faden. 2004. Commelinaceae. Pp 425-427 in Smith N, S Mori, A Henderson, DW Stevenson, SV Heald (eds) Flowering Plants of the Neotropics. Princeton University Press. Hardy CR, RB Faden. 2004. Plowmanianthus, a new genus of Commelinaceae with five new species from tropical America. Systematic Botany 29 (2): 316-333. Hardy CR, JI Davis, DW Stevenson. 2004. Floral organogenesis in Plowmanianthus (Commelinaceae). International Journal of Plant Sciences 165 (4): 511-519. Davis JI, DW Stevenson, G Petersen, O Seberg, LM Campbell, JV Freudenstein, DH Goldman, CR Hardy, FA Michelangeli, MP Simmons, CD Specht, F Vergara-Silva, MA Gandolfo. 2004. A phylogeny of the monocots, as inferred from rbcL and atpA sequence variation, and a comparison of methods for calculating jackknife and bootstrap values. Systematic Botany 29 (3): 467-510. Linder HP, CR Hardy. 2004. Evolution of the species-rich Cape flora. Philosophical Transactions of the Royal Society of London B 359 (1450): 1623-1632. Hardy CR. 2003. Malawi . Natural History 112 (travel issue, supplement 4A): 75. Hardy CR, DL Lipscomb, KC Nixon, H Ochoterena. 2003. WinClada ver. 1.0, a basic users manual. Available upon request from Kevin C. Nixon, Bailey Hortorium, 462 Mann Library, Cornell University, Ithaca, NY 14853. Hardy CR. 2001. Systematics of Cochliostema, Geogenanthus, and an undescribed genus in the spiderwort family Commelinaceae. Ph.D. Dissertation, Cornell University , Ithaca , NY. Dyer AF, JC Parks, S Lindsay. 2000. Historical review of the uncertain taxonomic status of Cystopteris dickieana R.Sim (Dickie's bladder fern). Edinburgh Journal of Botany 57 (1): 71-81. Hardy CR, DW Stevenson. 2000. Floral organogenesis in some species of Tradescantia and Callisia (Commelinaceae). International Journal of Plant Sciences 161 (4): 551-562. Hardy CR, DW Stevenson. 2000. Development of the flower, gametophytes, and floral vasculature in Cochliostema odoratissimum (Commelinaceae). Botanical Journal of the Linnean Society 134 (1): 131-157. Hardy CR, DW Stevenson, HG Kiss. 2000. Development of the flower, gametophytes, and floral vasculature in Dichorisandra thyrsiflora (Commelinaceae). American Journal of Botany 87 (9): 1228-1239. Parks JC, AF Dyter, S Lindsay. 2000. Allozyme, spore and frond variation in some Scottish populations of the ferns Cystopteris dickieana and Cystopteris fragilis. Edinburgh Journal of Botany 57 (1): 83-105. Parks JC. 2000. Lycopodiaceae. Pp 64-70 in Rhoads AF, TA Block (eds) The plants of Pennsylvania: an illustrated manual. University of Pennsylvania Press. Parks JC, JD Montgomery. 2000. Ferns. Pp 71-106 in Rhoads AF, TA Block (eds) The plants of Pennsylvania: an illustrated manual. University of Pennsylvania Press. Stevenson DW, JI Davis, JV Freudenstein, CR Hardy, MP Simmons, CD Specht. 2000. A phylogenetic analysis of the monocotyledons based on morphological and molecular character sets, with comments on the placement of Acorus and Hydatellaceae. Pp 17-24 in Wilson KL and DA Morrison (eds.) 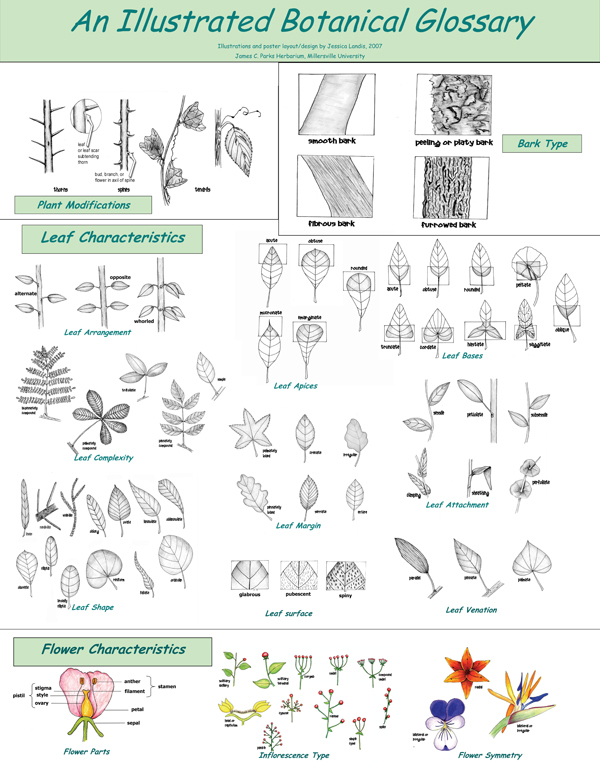 Monocots: systematics and evolution. CSIRO Publishing: Australia. Parks JC, KA Mosser. 1998. A morphological and allozymal study of a Cystoperis tennesseensis (Dryopteridaceae) population: first report of the species in Lancaster County, PA. Journal of the Pennsylvania Academy of Sciences 71 (2): 78-83. Parks JC. 1989. Distribution of gametophytic populations of Vittaria and Trichomanes in Pennsylvania. Rhodora 91: 201-206. Parks JC. 1985. Erigenia bulbosa in Lancaster County, Pennsylvania. Bartonia 51. Stober SS, JC Parks. 1985. Chromosomal studies of Physalis virginiana var. subglabrata and Physalis heterophylla. Bartonia 51: 65-68. Parks JC. 1984. A first report of the fern genus Vittaria in New York. Rhodora 86 (848): 421-423. Parks JC. 1984. New Pennsylvania locality of Cryptogramma stelleri. Bartonia 50: 63. Parks JC. 1983. The fern genera Vittaria and Trichomanes in the Northeastern United States. Rhodora 85 (841): 83-92. Parks JC. 1973. A revision of North American and Caribbean Melanthera (Compositae). Rhodora 75: 169-210. Parks JC. 1969. Simple technique for demonstrating chromosomal coils using Tradescantia pollen mother cells. Proceedings of the Pennsylvania Academy of Science 43: 61-63. Parks JC. 1968. A revision of the genus Melanthera Rohr (Compositae): in North America and the Caribbean. Ph.D. Dissertation, Vanderbilt University.